Jonathan Fong is a junior at Eastern Illinois University, pursuing a BM in Music Composition with an Anthropology minor. An award-winning composer, Jonathan's works have earned him several Illinois Federation of Music Clubs (IFMC) awards. He is also an IFMC Hall of Fame inductee. His pieces have been performed by the Bloomington-Normal Youth Symphony, Maria Jette, and Dr. Jonathan Bowman. Jonathan's compositions have premiered at venues like Illinois Wesleyan University's Presser Hall, University of Minnesota's Lloyd Ultan Recital Hall, and Eastern Illinois University's Doudna Fine Arts Center. Currently, Jonathan Fong studies composition with Dr. Bradley Decker. In the past, Jonathan has attended the Junior Composers Studio in the 2010-14 summers where he worked with composers such as Libby Larsen, Stephen Paulus, Hugh Livingston, Brooke Joyce, Randall Davidson, Seth Custer, and Richard Marriott. He also studied privately under Dr. Mario Pelusi, Director of Music at Illinois Wesleyan University. 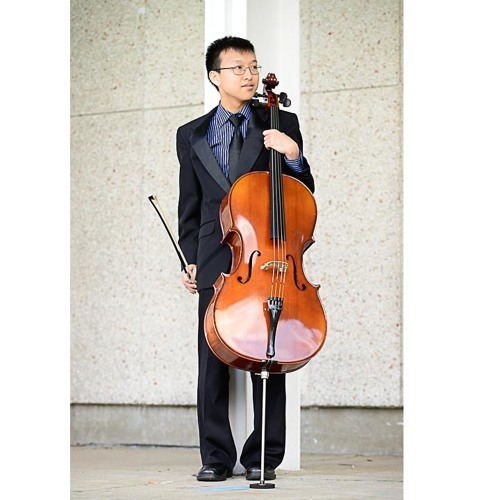 His aspiration is to pursue a career in scoring for film, television, and video games. Jonathan's favorite composers/inspirations are Leonard Bernstein, Michael Giacchino, and Bear McCreary. In addition to composition, Jonathan continues to study piano with Dr. Jonathan Bowman and cello with Prof. Ruth Marshall. He also performs with the Eastern Symphonic Orchestra. Other academic achievements include an independent study with anthropology professor and ethnomusicologist Dr. Angela Glaros. The research focused on the improvisation methods in Eastern music - specifically the North Indian raga and Arab makam systems, and how they compare to Western improvisation in styles such as jazz. In his free time, Jonathan loves playing video games. His favorite games include the BioShock franchise, Dota 2, Minecraft, Sid Meier's Civilization V, Hearthstone, Crash Bandicoot and Spyro the Dragon. He also enjoys the trading card game Magic: The Gathering and the table-top role playing game Pathfinder. His other hobbies include drawing and studying video game design.